Home » Surf better » Should you surf with contact lenses? So after those scare tactics, it was a while before I actually tried it out, after I’d met a few people who wore their lenses in the sea. It was a revelation. Suddenly I could see the waves actually coming towards me before they were on top of me. I could tell whether a wave was going to peel or close out, I could pick out my friends in the line up… why hadn’t I been wearing them the whole time? So even after the horror stories, I still wear my contacts in the sea… I simply can’t see well enough to surf without them. You definitely want to see this wave coming! 1) The best option… wear dailies and take them out as soon as you get out the sea. Then rinse your eyes out with sterile saline solution. And don’t forget to change the bottle rattling around on the floor of your car once a month… not once a year! 2) If you wear weeklies or monthlies take your lenses out straight away and clean them thoroughly before you put them back in. 3) Don’t wear your lenses in contaminated water, especially close to towns or beaches renowned for pollution. Whenever I surfed in the bay in San Juan del Sur, I’d go without my lenses if I could, or make sure I wore dailies, because I knew a lot of people would get sick after surfing there. You could always kind of feel it in the water, it left a slight film on your skin. If the water’s like that where you’re surfing, probably best to be extra careful! 4) Try not to rub your eyes in the water, it’s a sure fire way to get dirt into them. 5) Get decent suncream, the sort that doesn’t get in your eyes, so you don’t have to rub them to see. Suncream is like a dirt magnet too, which must make it worse. 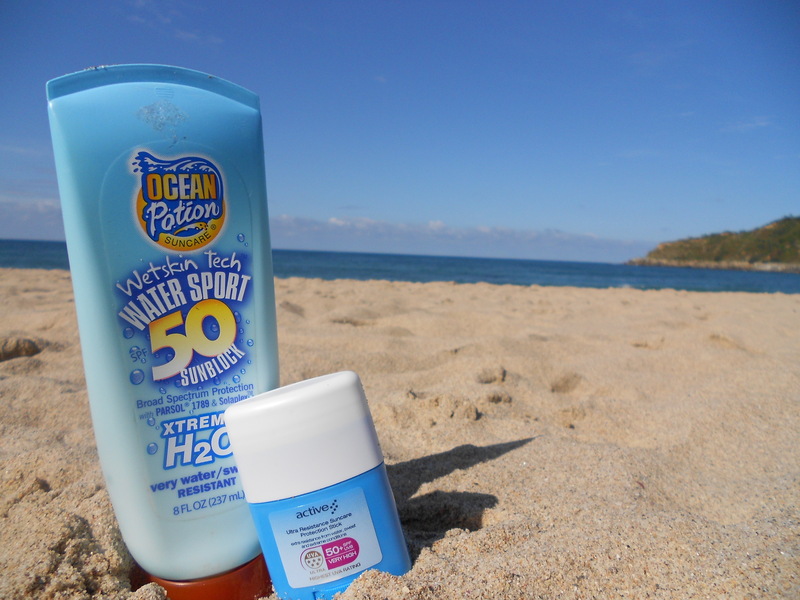 Check out our recommendation for good sunscreen for surfing here. 6) Keep your eyes closed underwater so you don’t lose your contacts. I know that means you won’t get to see when you’re duckdiving, but if you lose your lenses you won’t be able to see at all. Not so much of a problem if you aren’t too blind, but if you’re really short sighted then getting back in, let alone catching any waves, could be interesting. 7) If you get any itchy, scratchy-ness in your eyes at all, or your vision goes funny, see a doctor immediately… don’t hang around hoping it will go away, get to an optician or doctor as soon as you can because that can make all the difference. And make sure you tell them you’ve been wearing your contact in the sea. Disclaimer: I am not an optician. The official line is still don’t wear your lenses in the sea. But if you’re going to do it anyway, at least this might help minimise the risk. If you do wear your lenses in the sea and get an infection, please don’t blame me, as with everything, you have to take some responsibility for your own decisions! How to duckdive like a pro The best sunscreen for surfing New surf app helps you find your perfect waves! Nice article and thanks for the reassurance. I can back you up too. I do as you suggest with my monthlies. Not had any probs in two years. Can actually see waves coming so can tell which ones to catch – so coo ha hal!! I have the same problem in pools, and in fact in fresh water too, so rivers or lakes… they do say the cure for anything is salt water… Thanks for swinging by and stoked you’re enjoying the blog! Hmm, I’ve been surfing in the ocean and swimming in pools most days of the week for 10 years with monthly contacts and have never had a problem, with no extra care (I don’t take them out after being in the water). I suspect it would be easier to duck-dive if I could open my eyes, but I probably couldn’t see the beach much less the waves if I didn’t have my lenses in, so it’s well worth it. I have been surfing for 7 years with Dailies and no problems. Just take em out post surf and put a fresh pair in. Don’t even need to rinse out eyes most of time. 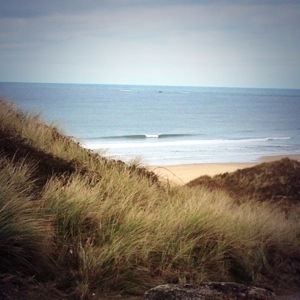 I surf cool clean water though here in the West of Ireland so not much in the way of bacteria problems etc. Only problem I have is over use of dailies so I may make the switch to the more oxygen friendly monthlies (Acuvue Oasys). With a bat-blind -10 lens prescription, I’ll echo my myopic surfing brethren above in saying that it is well worth it to see the waves properly. You can get prescription surf sunglasses as well. I’ve had a few pair’s. The Mormaii Floater are best. Comfortable, they stay on well and they don’t fog. Highly recomended.